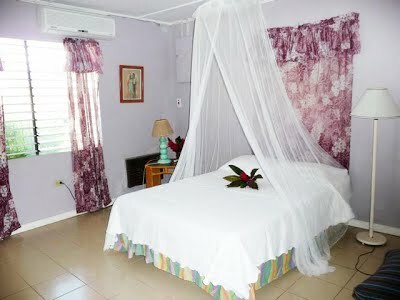 Calabash House - Barrett Adventures the Real Jamaican Adventures. 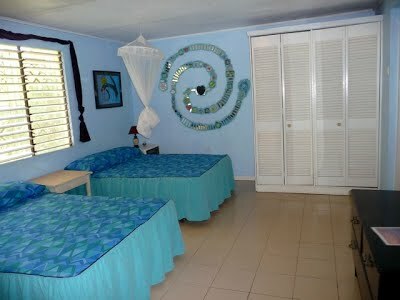 Only a two minute walk from the famous JAKES in Treasure Beach, CALABASH HOUSE is comfortable, clean and much much more reasonably priced than JAKES. It also has the best swimming beach in Treasure Beach in front of your room or cottage with fabulous sunsets to be savoured daily. Hammocks abound. You can laze away the whole day in one if you wish, or move off to sample all of the other interesting things to do in and around Treasure Beach. CALABASH HOUSE is emerging as an arts destination in Treasure Beach. 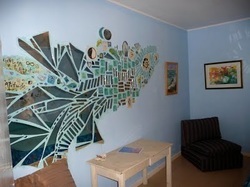 The MERMAID GALLERY open daily on the property. You can also pick from several events during the year. Painting, writing, and yoga as well as the Famous Calabash Festival the last weekend in May which is a literary festival with local and visiting artists featuring original Caribbean works, lively discussion and fabulous music. Arts and crafts are also on display for your edification. The third cottage is behind the cottage on the right. As you can see, the yard is roomy and well kempt. The Sunsets are to die for....... lie in a hammock and thrill to some of the most incredible sunsets in the world.